Creating a work of art that triggers our memory is what taxidermy is all about. Surrounding myself with the things I cherish would be the most justifiable reason for my obsession with filling my house with critters. Everywhere I look I'm greeted with the memories that mean the most to me. 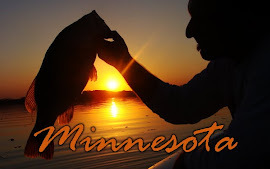 For me, it doesn't have to be a booner buck or a state record fish. The experience and the story behind it are what make a truly memorable mount. My turkey collection is something I take great pride in. A Merriams and a Rio Grande have recently been added to my, well I guess you could call it a flock now days. Out of every mount I have these birds are the most flawless pieces of art I own. Every feather and every expression is spot on. Lost in a daze, I catch myself staring at them reliving the moment with every glance. 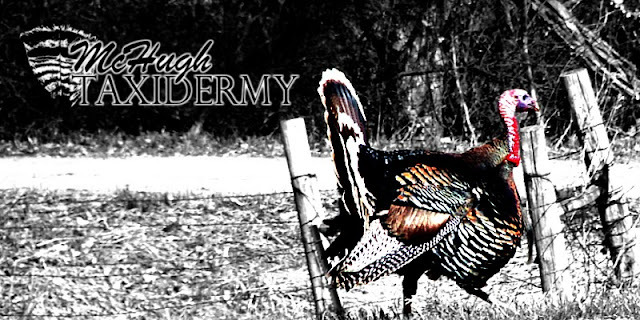 Jeff McHugh of McHugh Taxidermy is a turkey mounting god. There really is no other way of putting it. He has won more awards and ribbons for his mounts, calls, and all of his other art work that it pretty much speaks for itself. 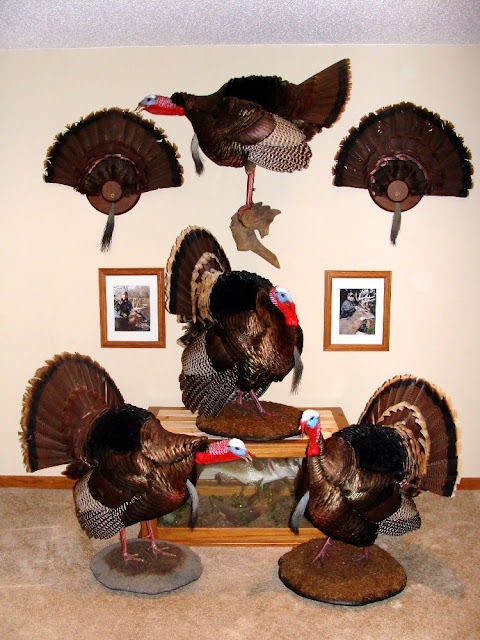 I have seen my share of turkey mounts, but his work seems to have something the others don't. They have an uncanny sense of realism. 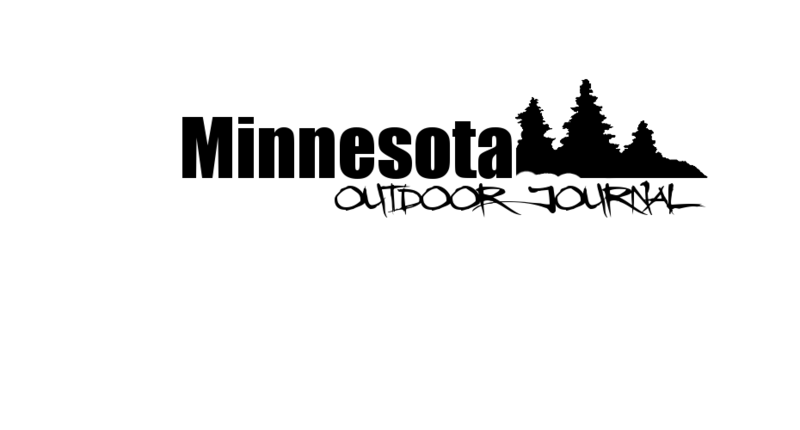 My theory for Jeff's talent is based on the fact that he truly is a passionate outdoorsman. To create that kind of quality work, you have to be. Our conversations and shared stories paint me a picture of just how much of a bond outdoorsman have. I'm glad to have gotten the chance to know him. Jeff runs his studio out of his home in Plainview. I strongly suggest that if you have a critter you would like to preserve to give McHugh Taxidermy a go. He is a turkey specialist, but not just limited to turkeys. Like his card says, McHugh Taxidermy-Your turkey mounting headquarters. Special thanks to Jeff McHugh for creating such wonderful art.